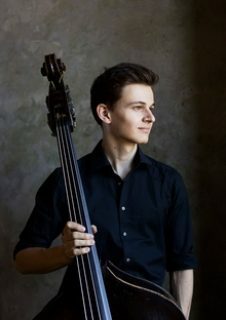 Dominik Emanuel Wagner was born in Vienna in 1997 where he started his musical education with the age of 5, at first as a cellist, later as a double bassist. In the year 2009 he started studying at the University of Music and Performing Arts Vienna with Josef Niederhammer and Werner Fleischmann. Currently he is studying at the University of Music in Nürnberg with Dorin Marc. 2017 Dominik was awarded with the ECHO Classic Award in the category newcomer. He also won major prices at many international competitions such as the ARD Competition, the Eurovision Young Musicians Competition, the Concorso di Bottesini, the Bass 2016 Prague Competition, the Markneukirchen Competition, the Bodensee Competition, the J.M. Sperger Competition, the Osaka Competition, the Golden Bass Competition, the Leos Janacek Competition and many others. As a Soloist he performed with Orchestras such as the Bavarian Radio Symphony Orchestra, the WDR Symphony Orchestra, the Munich Chamber Orchestra, the Südwestdeutsches Kammerorchester Pforzheim, the Brandenburg Symphonic Orchestra, the Jena Philharmonic Orchestra and the Rheinische Philharmonie Koblenz. Besides his solo performances Dominik is also regularly performing all over the world with chamber music. Together with the clarinettist Vera Karner, in the constellation clarinet, double bass and piano, he was awarded with many prizes such as the Mendelssohn Förderpreis 2016. 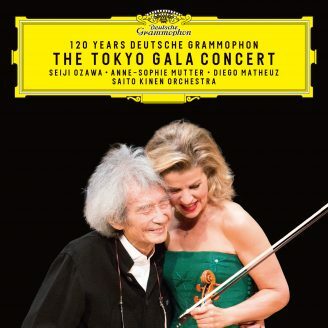 As a part of this award they recorded a CD with the label Berlin Classics.